Summary: According to the development planning and work arrangements of Shandong Nanshan Zhongmei E-commerce Co., Ltd, recently, China Transport Group Deputy General Manager, Shandong Nanshan Zhongmei E-commerce Company Preparing & Building Office Director Fan Peigong led a number of e-commerce promotion team elites of China Transport rushed to Shandong Nanshan Zhongmei E-commerce Company again, to carry out a week of the skills upgrading training for 100 new recruits, and to implement the specific work of next step development, meanwhile warmly welcomed by the leaders and the staff of Nanshan Group. According to the development planning and work arrangements of Shandong Nanshan Zhongmei E-commerce Co., Ltd, recently, China Transport Group Deputy General Manager, Shandong Nanshan Zhongmei E-commerce Company Preparing & Building Office Director Fan Peigong led a number of e-commerce promotion team elites of China Transport rushed to Shandong Nanshan Zhongmei E-commerce Company again, to carry out a week of the skills upgrading training for 100 new recruits, and to implement the specific work of next step development, meanwhile warmly welcomed by the leaders and the staff of Nanshan Group. During the training course, China Transport Group Network Promotion Manager Yuan Fang and Wang Saili taught them through explaining while practicing, personally guided the students on the machine operation, solved the various problems encountered in the daily operation on site for everyone. 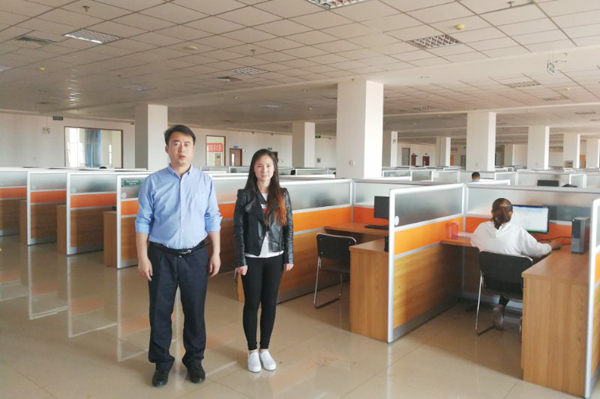 Just a few days, through the professional guidance of the two teachers, the new students had been greatly improved in the skills of the website construction, network promotion, SEO, keywords setting, Alibaba product rules and other network promotion process operation, and comprehensively improved the knowledge depth of network promotion for the majority of new employees. They all said that through the skills upgrading training, they had a more intuitive and more in-depth understanding on the network promotion. Through the guidance on site of the professional teachers, many questions and doubts can be solved in time. Through communication with the teachers, let us full of confidence and expectancy for the upcoming new job! During the training, Manager Fan and China Transport e-commerce elite team teachers were invited to Yantai Nanshan Group art show of "passion summer, charm Nanshan". 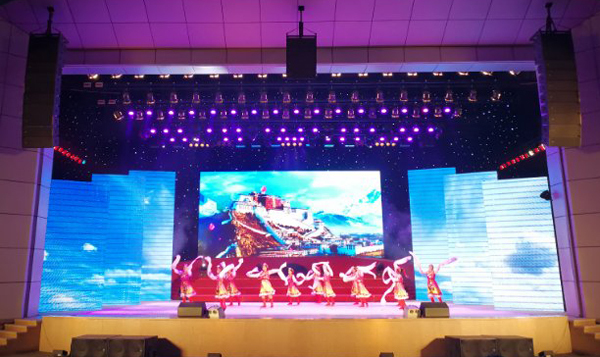 The whole show program was rich, elegant and popular, fresh and lively, integration of literature and art, showed the vitality, passion and youthful atmosphere of contemporary college students, and fully showed the development achievements and teachers and students style of Yantai Nanshan Education Group! Shandong Nanshan Zhongmei E-commerce Co., Ltd. is jointly set up by Yantai Nanshan Group and China Transport Group. Yantai Nanshan Group as the top 500 enterprises in China, has a strong industrial base, China Transport Group as the MIIT E-commerce Innovation Enterprise, Shandong E-commerce leading enterprise, has rich experience in the e-commerce platform construction and operation. The two sides will work together to build a global diversified, comprehensive product sales e-commerce service platform through the Shandong Nanshan Zhongmei E-commerce Co., Ltd, and use the resources advantages in each area, complementary advantages, resource sharing, powerful combination, to better achieve the win-win development of both companies, and to make a positive contributionfor the rapid development of national e-commerce!